That’s when my books save me. I don’t have to interact or make a good impression, I can just be – the happy inhabitant of another world where no-one judges me and I can become an active yet invisible participant. Tonight I’ve travelled to 1950s New England and Victorian Broadstairs and have felt utterly at home in both; how else but with a book can you slip between worlds that welcome you with open arms and ask no questions before they let you in? Don’t get me wrong, I love other people, and if I ever have a long afternoon of office admin you can guarantee I’ll be popping out to get cups of tea and have essential chats with my colleagues – but the curse of worrying how you come across to others and scuppering yourself in the process is a hard one to bear. I sometimes wonder if I didn’t read, how would I get any respite from the strains of the real world? I used to watch a lot of movies but they never transported me out of myself the way a book can. Without exception, all the people I know who’ve suffered with social anxiety or other similar issues have been big readers, and I don’t think that’s a coincidence. All any of us long for, I think, is to belong; we’re all searching for others with whom we feel an affinity. I have great friends and the best family you could ask for – but I also have hundreds of people and places within the pages of all the beautiful books that line my shelves, and no matter how dreadful my day, they’re right there beside me whenever I need them. I know I haven’t blogged for a while, but today has reminded me why I do it – because reading is a gift, and one that I want to celebrate with others whenever I can. So pick up a book, read it and share it with everyone! Happy reading! I can’t believe it’s July already. I also can’t believe how much time has gone by since my last blog post so I thought I’d better check in and let everyone know I’m still here! Honestly, I have so many great books either on the go or imminently pending, but there just aren’t enough hours in the day right now to get all my reading done, let alone writing. For a start, it’s Wimbledon – and as a bit of a tennis lover, even my beloved books are going to have to take a bit of a back seat for the next fortnight. Work is mental (no change there then!) but there’s never a dull moment and the days pass in a whirlwind of activity until someone gently reminds me I should be going home. And since I’ve turned into a bit of a slug recently I’ve resolved to get back to doing at least a little bit of yoga every day. Which doesn’t always happen. BUT I’m determined to share some of my July reads with you soon. I’m just about to start “Wives and Daughters” as part of my challenge to get back into the classics, and I’ve just started what promises to be an amazing book, “These Dividing Walls” by Fran Cooper. Should I admit that I’m STILL going with “4 3 2 1”? It’s a bit embarrassing since I distinctly remember posting about that very book in my April reading round-up and am still barely a quarter of the way through, but I have no bookish secrets from you all, my lovely followers! I’m sure we’ve all been there though, with those books that for some unfathomable reason you enjoy at the point of reading yet don’t feel any burning desire to come back to once you’ve put them down. Paul Auster’s latest is one of those, but I’m sufficiently invested to keep going with it, albeit at a slower pace than normal. I’m also excited to be taking part in the Quercus Summer Reads competition and as part of that I’ll be reading and blogging about “The Little Theatre by the Sea” by Rosanna Ley, so look out for that review coming your way soon. I’ll do my best to get something online before too long – in the meantime enjoy the sunshine! A few days ago I took myself off to Whitstable (a picturesque, characterful town on the Kent coast) and, predictably, ended up in a bookshop. It was one of those small but perfectly formed independents that somehow manage to cram an impressive literary catalogue into the space of a living room, and in the corner near the till my attention was caught by the best collection of Wordsworth Classics I’ve seen anywhere for a long time. I’m sure book lovers everywhere will agree there’s something about classics by any publisher – Wordsworth, Penguin, Oxford, whoever – all grouped together that’s pretty intoxicating to us book addicts. There was no way I was going to be able to leave without buying one, but even as I handed over my £2.50 (bargain!) for Elizabeth Gaskell’s “Wives and Daughters” I was already trying to ward off the nagging awareness that although I do still love to buy classics sometimes, in truth I’ve almost entirely stopped reading them. I honestly feel quite guilty about this; after all, I was brought up on the great Victorian classic novelists, reading those way before I moved on to contemporary adult literature, which I only really got into in my early twenties, and I’m an English Lit grad too, which I still feel marks my reading card sometimes though it was many years ago. A year or so ago, when I tried to get back into classics with “Armadale” by Wilkie Collins – an author who wrote two of my all-time favourite novels – I was horrified to admit I found it so…. hard-going. The language and the pace of this kind of fiction is worlds away from so much modern literature to be sure, but I was still ashamed at how bogged down I felt while trying to read it. Have I got so out of the habit of reading classics, I thought, that I just can’t cope with them anymore? And have I got so used to the ease and familiarity of the modern writing style that I’ve lost my ability to absorb, concentrate on and enjoy anything that sounds remotely archaic? If that’s true, then what a massive failing for someone who claims to be a book lover! I was talking about reading guilt with someone at work not long ago and we agreed that it can sometimes be a bit difficult to admit you don’t particularly like certain books or authors regarded as “classics” from any era. In the spirit of honesty I’m going to hold my hands up and say here and now that I can’t stand Dickens. I’ve started five (never let it be said I don’t give people a fair shot!) and only managed to finish one. From an objective point of view I can completely see why he’s a literary genius – but I don’t get on with him because he just doesn’t resonate with me. And that’s ok, my colleague and I decided, because why should anyone be obliged to enjoy certain things? 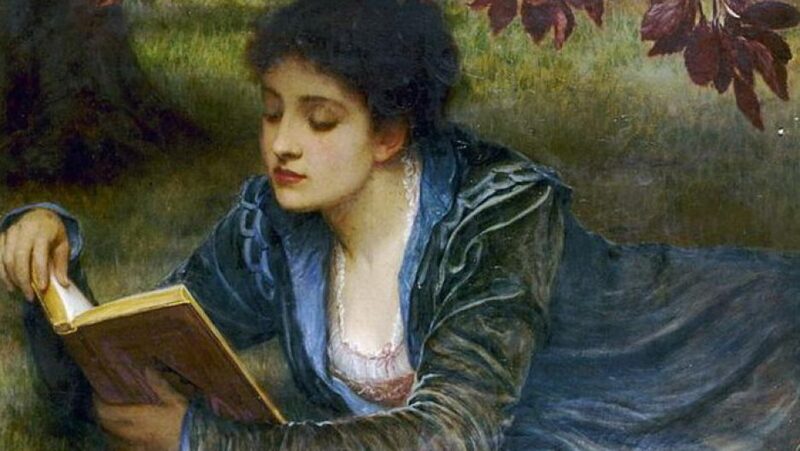 What’s bothering me about my falling out of love with classic literature isn’t to do with that “shame” of only reading contemporary fiction, as I don’t believe one kind of fiction is more or less worthy than another, but rather what it says about me that a style of writing that once gave me so much enjoyment suddenly feels inaccessible. I’ve come across quite a few bloggers who set themselves reading challenges, maybe to read a certain number of books a year or to read genres they’d usually avoid. As yet I’ve never felt I wanted to set myself a challenge of this kind, because a) I don’t like pressure! and b) I’m a reasonably changeable soul and would much prefer to read as the mood takes me; but now I’m thinking that a little, informal challenge might be what’s needed to get me back into classics again. Quite simply, instead of passing over my unread classics in favour of something shiny and new, I’m going to make sure I start one within the next week. I bought “Wives and Daughters” – so I’m going to read it! Maybe this is all an unnecessary hang-up, but I’d really like to feel engaged with older literature like I used to, as it gave me so much pleasure before. I’ll let you know how progress goes! I’d also love to hear your thoughts if you’ve ever felt the same, or indeed if you have a completely different take on my predicament – if that’s even what it is. See you back on the blog very soon, hopefully with a classic book review! Bookshop haul – a moment of heatwave madness! It’s quite clearly not unusual for me to indulge in a bit of book-shopping. It is unusual for me to lose all self-control and succumb to not just one but multiple hardbacks in a single splurge. Honestly, I don’t know what came over me. Maybe it’s the knowledge that it’s payday tomorrow or maybe I was just slightly high on the prospect of a week off with the forecast of blazing sun every day and absolutely no commitments beyond my blog and my books; whatever the (100% valid) excuse I’m now the proud owner of a diverse and somewhat unexpected pile of reading happiness. So what is this booky bounty? “Silk” by Alessandro Baricco – since I’m still going with “4 3 2 1” I’m in desperate need of something short to make me feel like I’m achieving something! I would never have picked this up off my own bat but two colleagues at work have recommended it so I have faith that it’s going to be a good ‘un. As an added bonus the chapters are about a page each, so if that doesn’t make me feel like I’m making progress nothing will. “These Dividing Walls” by Fran Cooper – I find Twitter such a great way of discovering new and forthcoming titles, and this is one that I’ve seen mentioned or reviewed several times with almost universally favourable comments. The premise sparked off comparisons in my mind with “The Elegance of the Hedgehog”, which I adore, due to its Parisian apartment block setting. The style and indeed the substance may well turn out to be completely different of course, but nevertheless I have a feeling I’m going to enjoy it. “Swallowing Mercury” by Wioletta Greg – this is a bit of a risk in a sense since I know nothing at all about either novel or author. Yet something about it kept nudging at me as I was browsing the shelves and eventually I decided to take a punt. The cover art is stunning for a start, and the impression I get from the tiny sections I’ve dipped into is that it has a slightly strange, dreamlike and almost musical quality that I found magnetic, even without knowing anything about the story or setting. Watch this space. “Eleanor Oliphant is Completely Fine” by Gail Honeyman – I read an excerpt from this novel in a magazine a while back and immediately thought: I AM Eleanor Oliphant! I was intrigued by the heroine and the idea that life can be, well, absolutely fine, and yet missing something very fundamental at the same time. There’s been so much love for this all over social media and I can’t wait to read it. So, a week off awaits and I have a stack of new books, so the reviews should be coming thick and fast before too long! Here’s hoping your week is as sunny as mine, see you back on the blog soon. If you’ve been reading my blog recently you may know I went for a job interview a couple of weeks ago. You’ll also know I didn’t get it, but the fact I came so very close to embarking on a completely new life (in the end it came down to a choice between me and just one other person) threw me into a state of reflection and self-evaluation the like of which I haven’t experienced for an extremely long time. My original career plan was to go into publishing after graduation; I realised pretty quickly however that either living in or commuting to London were both out of the question due to my financial circumstances at the time. Instead I plumped for what I felt was the next best thing but what instead turned out to be the very VERY best thing: a career in bookselling. In fact, to start with it wasn’t even meant to be a career, rather a way of earning some money in a relevant field before I moved on to what I really wanted to do. Fifteen years and several bookshops later and I’m still here. I’ve been a shopfloor bookseller, a store manager and more recently have done some really interesting and fulfilling work in learning and development – but everything I do is grounded in books and the joy I find in them every single day. And this new job? Well, it was pretty amazing. If I’d been successful I would have had an opportunity to travel all over the UK and to work with some of the leading figures in retail L&D. The responsibility and kudos attached to the role would have been something else. Yet as I sat on the train on the way home from the final assessment day I felt slightly sick. Not simply from the fear of change or nervousness about my ability to take on a new professional challenge but because – I realised later – I couldn’t imagine a life away from the world of books that had come to virtually define my existence for most of my adult life. In the days after the interview and subsequent rejection I was struck by the fact that I’ve managed to achieve something (through chance I should add!) in my working life from the word go that many people take years to find, and some possibly never at all: I found a career that’s a perfect mirror of myself. Bookselling is essentially me personified and what’s more, it’s also a reflection of almost everyone who works in it. I’m going to put it out there: I’m a little weird and finally, as thirty recedes rapidly in the rear-view mirror, I’ve made my peace with that. I’m sure my bookselling colleagues who’ve also found themselves in it for the long haul wouldn’t mind me saying that a few of them are a little weird too! Books undoubtedly draw in a certain kind of person, and as I sat a couple of weeks ago in a plush Birmingham hotel surrounded by a completely different breed of working people – lovely, welcoming and friendly as they were – I felt my kindred spirits were suddenly very far away from me. My non-booktrade friends would probably tell you they have some people at work they really like, some who are fine and a not insignificant number they’d be happy to see fall under a bus. I won’t pretend I’ve adored every single person I’ve ever come into contact with at work but by and large the proportion of people whose company I’ve enjoyed and who I’ve felt I can be completely myself with has been pretty high. My career in books has given me some of the best friends I could ever have, and it’s no exaggeration to say that at times my book-loving workmates have felt like my second family. We spend a ridiculously high percentage of our lives at work and so to find a professional world into which you fit without effort is nothing short of a blessing. I also feel now that not getting that new job was a blessing of its own as it made me stop and think about where my happiness really lies. I’ve heard so many people say over the years that you don’t work in the book trade to get rich; you do it out of passion. I see now that my passion is more consuming than I’d ever realised before, and I hope it will keep me at the forefront of this great industry for many years to come. Firstly, I’ve had some really positive feedback about my “bookshop find” posts so I’ve decided to make those a regular feature, one a week is the plan – this shouldn’t be too hard as I do spend quite a bit of time in bookshops, both my own and other people’s! These will now be collected in the “Bibliophily Corner” section of my website so if you ever miss one and want to look back they’ll all be in one place. The eagle-eyed among you will see I’ve also added a new section called “My Bookish Travels”. I’ve been wanting to write about some of the reading-related places I’ve visited or events I’ve been to but haven’t been entirely sure where they’d sit with the rest of my blog – now they will have a home! Any events, signings, exhibitions or places of literary heritage I go to, this is where you can read about my experiences, and I’m really excited about the new slant this will add to the blog. Fear not though, if you just want the reviews, top 5 lists and so on, they’ll still all be there as before. If you pop over to my new and improved “About” page, you’ll now find a quick navigation guide to the blog letting you know what kind of posts you’ll find where. Once again, a huge thank you to all my followers – I love you all – and I hope you’ll continue to join me on my future reading adventures.